Let's take a look at the needs and challenges facing telehealth and remote medicine and how enterprises, entrepreneurs, and governments are adapting. I wrote recently about the value telehealth can play in providing health coverage to those living in rural and remote areas. The paper highlights how retinal tele-screening significantly increased the evaluation rates in both rural and underserved areas, whilst also increasing access to care for minority and other high-risk groups. Research from the University of Texas at Arlington highlights how micro-entrepreneurship can help to make the provision of telemedicine in such areas affordable and sustainable. The authors advocate creating public-private partnerships to establish telemedicine centers. They suggest that each facility could cost between $9,000 and $12,000, which whilst being modest by western standards, is substantial for areas such as rural India. 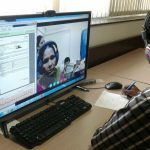 The analysis focused specifically on non-profit telemedicine provider OTTET Telemedicine, who is based in Odisha, India. It aims to promote the use of telemedicine and expand the availability of healthcare into rural areas. Odisha is a prime location for this, as it covers around 60,000 square miles and has a population of over 42 million. What's more, 83% of this population lives in rural areas. As such, the availability of healthcare in the state is very bad. The authors believe that a major barrier to successful implementation of telehealth is a lack of any real local ownership. This resulted in projects often failing whenever grants from funding agencies expire. "One key to OTTET's success in implementing telemedicine projects in rural areas is getting someone in the community to invest in a telemedicine project's success," the authors say. "OTTET also tackles the lack of technical manpower in rural areas by training unemployed rural youths on telemedicine technology, another factor essential in the project's success." The answer, they believe, is a more effective public-private partnership. "We discovered that OTTET Telemedicine offers a viable approach to incremental and sustainable implementation of Information and Communications Technology-based development projects as long as there is local ownership and the public-private partnership model at work," they say. They hope that their work will help to support the utilization of telemedicine in developing countries, and especially in rural areas that are historically underserved by health systems.